That's the theme for the 2018-2019 Reflections Art Program which has been bringing the arts to life for more than 10 million students since 1969. California State PTA and its members, families and kids are on the forefront of this amazing program, which increases community awareness of the importance of arts in education. Artworks are submitted to Chaboya Middle School PTSA , where they are first recognized, celebrated and judged by five grade-level divisions, while a non-judged Special Artists division celebrates student artists with special needs. Chaboya PTSA then choose a selection of entries to be judged by local PTA units, which are then sent on to councils and then districts for consideration. The final artworks submitted to California State PTA by districts are then considered for Outstanding Interpretation, Awards of Excellence or Awards of Merit. Outstanding Interpretation and Award of Excellence entries then go on to represent California in the final National PTA judging round. 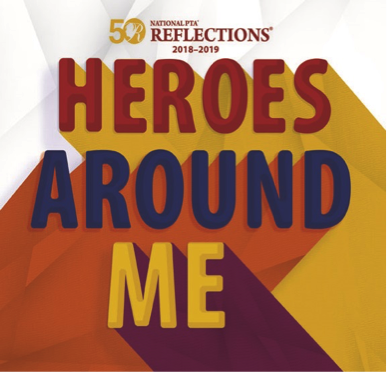 National-level Outstanding Interpretation honorees are recognized at the National PTA Convention, plus their artwork, along with any National Award of Excellence and Merit winners, are featured in Reflections' popular traveling national exhibit. •Accepted video file formats include: AVI, MOV, MPG, MPEG, MP4, WMV, FLV and F4V. Only CD/DVD discs accepted. •Your name should not be there anywhere in the video. •Video must not exceed 5 minutes in length and 1GB (one gigabyte) in file size. •Framed artwork and artwork containing loose materials is not accepted. Matting is accepted. •2D artwork (e.g. painting) Dimensions must not exceed 24x30 inches, including matting. Paper entries must be mounted on sturdy material. •3D artwork (e.g. sculpture) must be able to move for display purposes. Must include packaging materials and 3 photos of the entry (a combination of angles) for judging, ID and exhibition purposes (entries that require assembling/repairing from transporting will be disqualified). •Digital photo(s) of artwork: Must be high resolution (300 dpi or higher). •Label back of artwork and photo file(s) with your State, Arts Category, Grade, Teacher/Room No, Last Name, First Name (Example: PA.DANCE.PRI.SMITH.JOHN). •Your name should not be there anywhere in the artwork. •Print Format: Number each page. Print on 8.5x11 paper (one sided only). Submit 2 copies of your work. •Label Cover Page with your State, Arts Category, Grade, Teacher/Room No, Last Name, First Name. 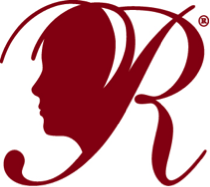 •Your name should not appear anywhere in your work. •Framed photos are not accepted. Matting is accepted. •Print Photo: Must not exceed 11x14 inches, including matting. •Mount on sturdy material such as cardboard or poster board. • Digital Photo: Must be high resolution (300 dpi or higher). •Label back of print and digital photo file with your State, Arts Category, Grade, Teacher/Room No, Last Name, First Name (Example: PA.DANCE.PRI.SMITH.JOHN).